In your Travel Lif, be the person that owes money, do not be the person who needs to dun people to collect money. 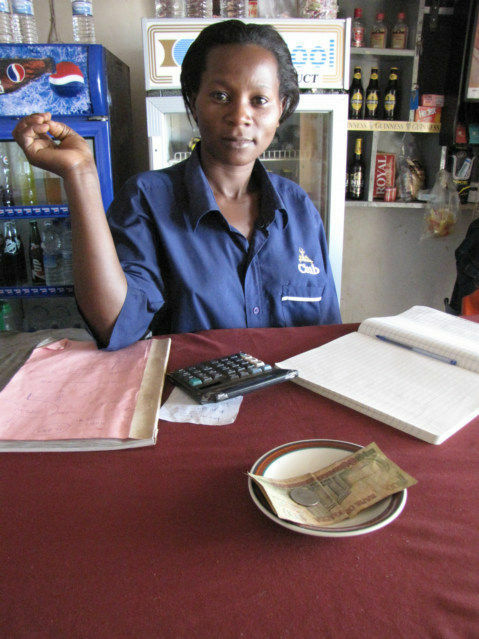 I give them 20,000 Shilling and they owe me 5,000 and they want to give me the change later. This is fun once you get the hang of it; it is like a mad game of musical chairs trying to stay ahead of the other contestants. I give here the 5000 Shilling note. She walks away, comes back in about five minutes, give me this plate with the correct change on it. This is about confusion, organization, memory and trust, the bottom line is I do trust them, however, I knew the minute I walked out of the door not another thought would pass through her brain about this situation. I would have to return and dun her for the money later, or until she went and got the change. The bottom-line, be the person who is being dunned, not the person who needs to dun. This is just plain lazy, nothing efficient or professional about the whole scenario. However, good fun as the Brits likes to say, if you want to be a player. Remember, money lives on a one-way street in the under-developed world. Im guessing they didnt have any money lying around, and needed to give your note to someone else who could give them change then give you change. Clearly they do not have the cocept of float!